It was first exhibited in the Ninth Winter Exhibition of Cabinet Pictures in Oil, Dudley Gallery, London, 1875 (cat. no. 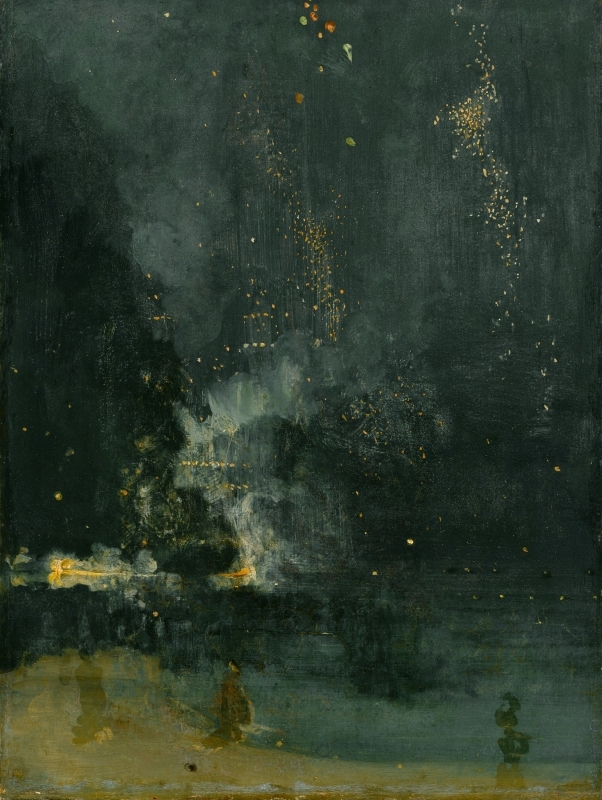 170) as 'Nocturne, in Black and Gold - The Falling Rocket'. 1: YMSM 1980 [more] (cat. no. 170). 2: A. M. Whistler to James H. and Harriet Gamble, GUW #06555.